In today’s demanding business environment many executives are too busy (and sometimes stressed) to make time for themselves to learn from their experiences and think at a deeper level to enable them to advance towards specific personal and professional goals with regards to development and performance. Executive coaching facilitates that time and space and helps the individual to make their own choices as well as utilise their inherent knowledge, wisdom and experience to create their own solutions. Jarc is committed to working with clients to unleash their full potential. Every client has different requirements and whether you are a senior executive leading growth or change in your organisation or a future leader taking your first steps in to a management role, we can tailor our approach accordingly to ensure your success. To kick off, we would recommend an initial meeting to check the chemistry between coach and client. This is essential to ensure that we can work well together and build an open, honest and trusting relationship. It is the client that determines the goals and they would be set at this point. The sessions are completely confidential and if there is a sponsor (such as HR or a line manager) then an agreement would be made with regards to any feedback that is given with the client present. 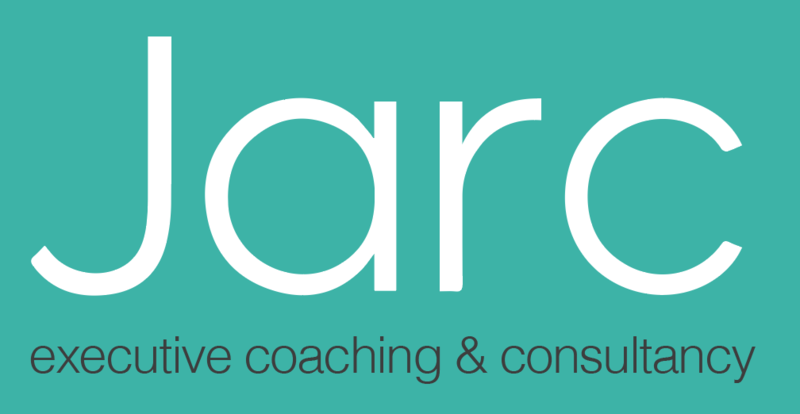 Our coaching style helps to raise a client’s self-awareness by asking questions in a safe environment and sharing observations, feedback and insights as well as a balanced mix of challenge and support enabling them to think deeply and create their own solutions to meet their goals. We would usually work with an individual client over a course of six sessions, ideally face-to-face and lasting up to two hours. This would probably be over a four to six-month period with timescales agreed at the outset. In between the face-to-face meetings, unlimited ongoing support is available by telephone or email as and when needed. Helping you to become the best version of you that you can possibly be. The right balance of support and challenge to enable you to find solutions to move your business forward.